The Intel® Threading Building Blocks (Intel® TBB) library provides a set of algorithms to enable parallelism in C++ applications. It is highly portable and supports multiple platforms, including the full spectrum of Windows* devices based on Intel® architecture. 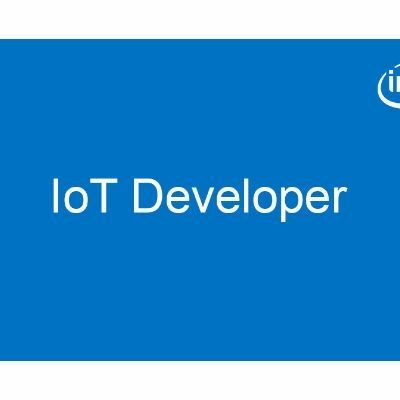 The Intel TBB 2018 release added support for the Universal Windows Platform (UWP) – an application platform for the Windows 10 ecosystem that allows developers to create and run apps on all kinds of Windows devices - PC, Tablet, Phone, Xbox*, HoloLens*, Surface Hub*, and even IoT. The wide reach of UWP has its consequences: there are restrictions against API that can violate the security of the platform. 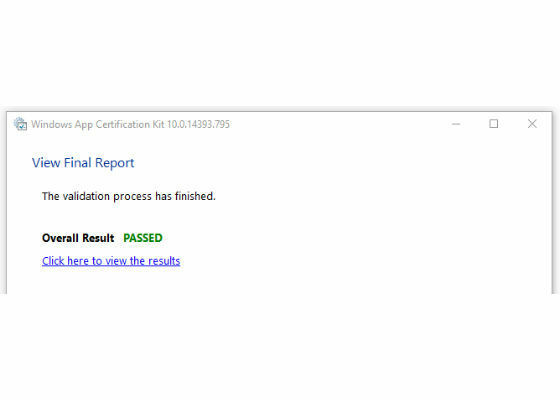 Microsoft’s Visual C++* compiler has the /ZW option that can be used to detect such API calls; however, to make sure your app is fully UWP-compliant, you have to check the whole package with the Windows App Certification Kit. You have to use the Blank App (Universal Windows) Microsoft Visual Studio* 2015/2017 template instead of Blank App (Windows Store). Note that the Universal Windows Driver platform is also supported. You can find the binaries for it in the folder vc14_uwd available in the commercial distribution of Intel TBB. Also, binaries for the Windows Runtime (WinRT) are still available in the folder vc12_ui. If you prefer to build the binaries from source, see the section Build Intel® Threading Building Blocks from Source. 1. In your Microsoft Visual Studio Project Properties > Linker options, set Additional Dependencies to tbb.dll and Additional Library Directories to the Intel TBB folder with the binaries. 2. Right-click your project root and select Add > Existing item.... Select the tbb.dll file to add it to your UWP project dependencies. 3. Right-click tbb.dll in your project tree and select Properties. Set Content to True to mark the file as content. This will include the Intel TBB library inside your UWP app package. 4. Right-click your project root and select Store > Create App Packages... to create a Windows Store Application package. Congratulations, you’re done! 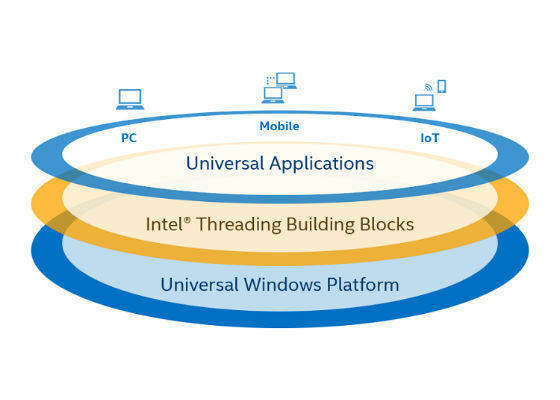 Your Universal Windows Platform application can use Intel TBB and benefit from parallelism on the wide range of Windows devices based on Intel architecture. 2. From within the developer command prompt, locate the script vcvarsall.bat in your Microsoft Visual Studio installation and launch it with the options vcvarsall.bat <arch> store, where <arch>is the target architecture. This step configures the environment for linking to UWP libraries. target_app=uwp configures Intel TBB to link to OneCore.lib and to use only the set of APIs that is allowed for a Universal Windows Platform application. target_mode=store makes sure that tbb.dll is configured to be run in an app container (a requirement for Windows Store UWP packages). To build UWD-compatible binaries, you have to install the same set of software as for UWP-compliant Intel TBB plus the Windows Driver Kit. The target_mode option is not required because a Universal Windows Driver does not need to be run in the restricted UWP application environment. target_app=uwd configures Intel TBB to link to OneCore.lib dynamically and to the C Run-Time Libraries (CRT) statically. Linking to the CRT is necessary for Universal Windows Drivers.